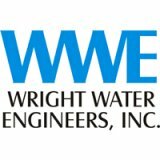 WWE is looking to hire an experienced water rights/water resources engineer, hydrologist or geologist for our Durango office. The qualified individual will have achieved, at a minimum, a bachelor’s degree in an engin…. Inberg-Miller Engineers (IME) is looking for a self-motivated individual to work as geotechnical or environmental engineer, with emphasis in solid waste management. Position is full-time. Duties will include managing a…. Job Summary Provide environmental support through the development of performance of field studies, environmental assessments and completion of permit/license applications for domestic or international projects. Key…. Position Description: Barrick is looking for an Environmental Engineer to join the Environmental group at Goldstrike. The Environmental Engineer will be responsible for management of the regulatory permitting, repor…. Providing expert, innovative environmental and engineering consulting services - without surprises - is what DST Consulting Engineers Inc. does best. 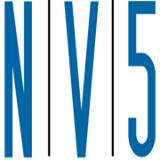 We are a multi-disciplinary firm providing comprehensive services to c…. Freeman Companies is growing and is now looking for a senior environmental scientist to join our team in Hartford, CT. Specifically for this role we are looking for a geologist, environmental scientist or environmental e…. U.S. The successful candidate will be accountable for assisting in the completion of hydrogeologic and environmental investigations and related activities. This includes additional responsibilities for deve…. CTS is looking for a self-driven, dependable, and highly motivated Product Development Engineer to join R&D group in Garden Grove, California, to develop new products. This individual will work with marketing, sales,…. We are EnSafe Inc, an employee-owned, global professional services firm. We strive to provide cutting-edge, creative solutions for our clients. 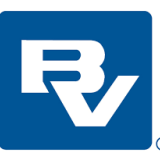 We are looking for an entry level or junior level Geologist/Environmental Sc…. 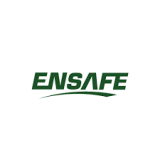 EnSafe Inc. is an employee-owned, global professional services firm. We strive to provide cutting-edge, creative solutions for our clients. We are looking for an Environmental Compliance Specialist/Project Manager for ou….